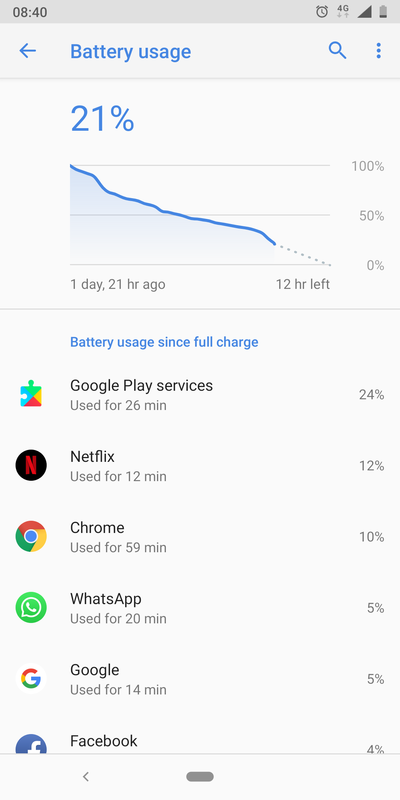 Hi Guys, I recently noticed Google play services is consuming more battery. 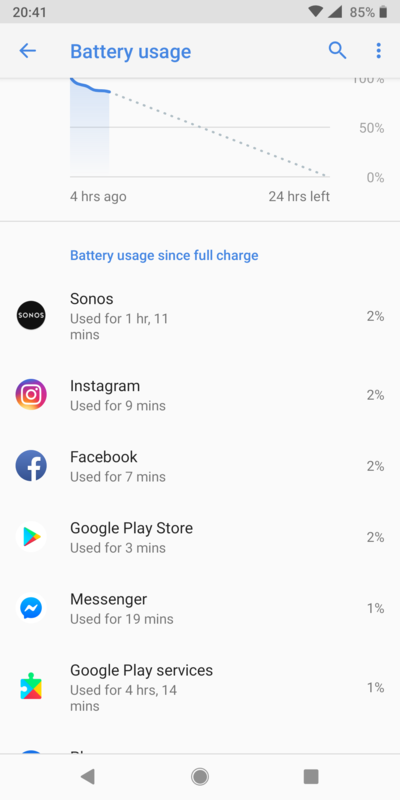 I recently noticed Google play services is consuming more battery. I even did a factory reset and still could see Google play services topping the consumption list. Anyone facing similar issue? Screenshot as below. Update to the latest beta version 16.0.89. The older versions drain battery a lot. You can download apk from apk mirror. I would advise against updating to beta version of play services. Unless you are of course willing to test, and I did in the past, but more frequent than not, something goes berzerk in battery usage. Usually , I notice higher play services battery usage before it updates itself (a day or two before). Why is that, I honestly don't know, but @iyesat , you can monitor play services version, and see if it normalised within a day or two, and check if there was a version bump. If you have recently updated to March patch, then I would advice you to clear cache and data of Play services. It will automatically install to the latest stable version when you open Play Store. For me it's 1% till now. Sorry there is no provision to attach screenshot herr. It seems a common issue after march update. I opened a post on Reddit too....we need to wait a patch from Google and or Nokia. BTW the battery drain is just a fake stat due to this bug....after march update my phone last a lot longer than before...really impressed. Have you set the app sync to off (like Gmail, WhatsApp, facebook). Also how about digital well being? Below is my stats and I am really surprised with yours. I am just figuring out the way on how to achieve like yours. I do not use any social sites other than Telegram. I do not get you when you asked about Digital Wellbeing. If you meant it's installed then yes and its active from 11pm to 5:30 am. I mostly don't use Digital Wellbeing..😉 it's mostly redundant. Sync for Gmail is on. I rely mostly on WiFi rather than 4g/ Volte. Besides I use Kiwi browser with dark mode enabled which helps me extend my battery. And yes, no games whatsoever. And all other fancy stuff such as Aod, lift to wake screen and other such features are disabled. Everyone will get a different Sot based on their use case, but even with rough use it should give you 5-6 hours on an average. 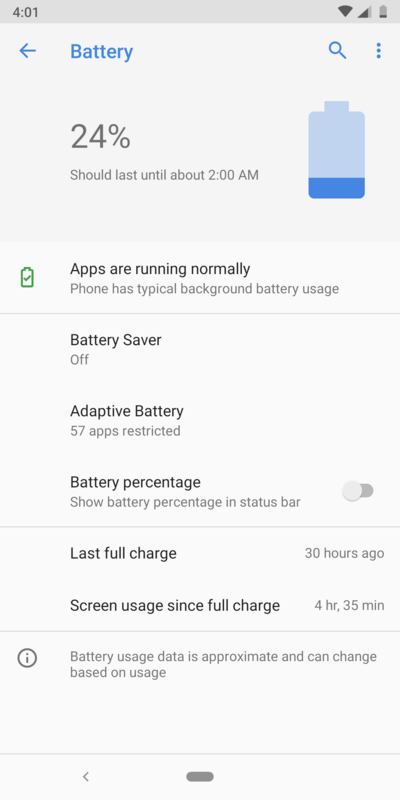 My Sot keeps on varying, but I get 6-7 hours with moderate use. My Sot was great (over 2 days on one charge) until 2 days ago when something changed. It started draining within a single day. No app changes apart from a chunk of Google apps updated: Files by Google, Action Services, Messages, Google Home, Gmail, Google Calendar. I now get Google Play Services running in the foreground. It says "While in active use", as if I had the app open and running all the time. 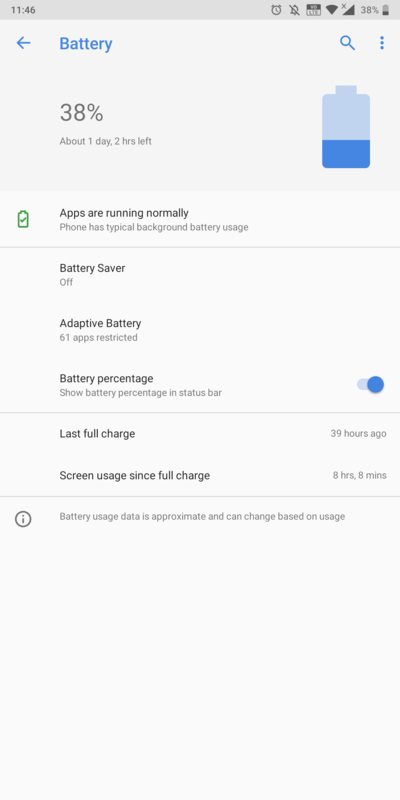 Battery reports 4 hours since last 100% charge, and Google Play Services "While in active use" running for 4 hours - the same. Although "While in background" says active for 0 minutes. Post the same when battery will be below 30% ...with full device usage. I read it on another thread in this board. So far so good, only lost 8% in 10 hours (overnight) with some use last night and this morning. Plus no "Google Play Services" entry in battery log (yet). I know this hasn't worked for others - sorry it hasn't helped them. If happens again ...let us know. & as Aniket Thakur stated u can always try installing beta version of play services. OK, it's back. I'll put up with it and hope Google sort it soon.